Spanish renewable energy firms face continued market uncertainty after a national election last month knocked back hopes of a change in government. While the election on June 26 failed to produce a clear winner, it revealed growing support for the conservative People’s Party ("Partido Popular" or PP in Spanish), the architect of policies that have left Spain’s solar and wind industries in tatters. The electoral contest was the second Spanish national election in just over six months. A ballot last December produced a four-way split. Spain’s main political parties were unable to form a majority alliance, sending citizens back to the polling booths for a second attempt. Renewable energy interests were hoping for an outcome that could topple the PP, since all the other major political parties had pledged to review its energy legislation within 100 days of coming to power. But the PP, which has been in power since 2011 and is currently acting as a caretaker administration, shook off ongoing corruption allegations to bounce back in popularity. It gained 137 out of a possible 350 parliamentary seats, up from 123 in December. The result still leaves the party far short of the 176 seats it needs for a majority. But it also makes it increasingly unlikely any other political force will be able to take the reins. Mariano Rajoy Brey, the PP’s leader and Spain’s acting premier, said he will seek to be reinstated as prime minister in August, pending the outcome of discussions with other parties. His job now is to seek an alliance that will give his party a parliamentary majority, or at least the abstention of enough opposition forces to allow the PP to govern in a minority capacity. Both options are fraught, but the PP is in a much stronger position to negotiate now than it was a month ago. Already there is speculation in the Spanish press that the liberal Ciudadanos ("Citizens") party, which holds 32 seats, might back Rajoy’s re-election attempt. This could force Spain’s second political force, the Spanish Socialist Workers' Party ("Partido Socialista Obrero Español" or PSOE), to review its current veto on a PP government. While Ciudadanos, the PSOE and the left-wing alliance United We Can ("Unidos Podemos") have all been vocal in their opposition to Rajoy staying in power, they have also all pledged they will not subject Spanish voters to a third electoral round. On that basis, it looks likely Rajoy will be sworn back into office next month, which is bad news for Spain’s renewable energy sector. The centerpiece of the PP’s energy policy over the last four and a half years has been the introduction of laws eliminating renewable subsidies and stymieing the potential for distributed generation growth in the country. Its most notorious piece of legislation to date is the Royal Decree 900/2015, known popularly as the "tax on the sun." 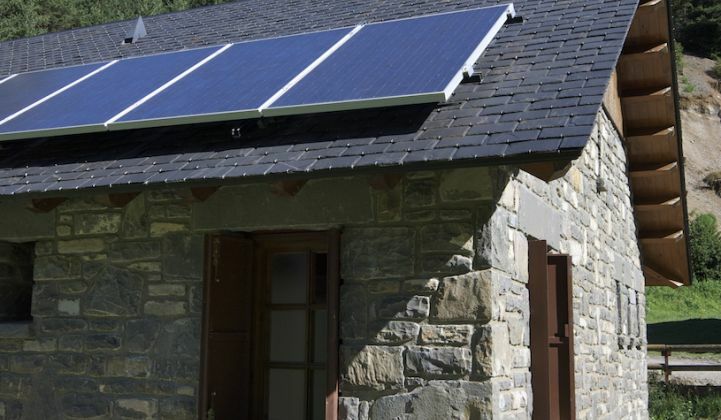 The law imposes onerous charges on residential solar self-consumption and battery storage. Although RD 900/2015 was hatched under the aegis of Industry, Energy and Tourism Minister José Manuel Soria, who is no longer with the party after being linked to the Panama Papers scandal, it is believed to have been drafted by a lieutenant who remains close to Rajoy. Alberto Nadal Belda, Spain's secretary of state for energy, is the last person that local renewable energy companies would want to see back in office. He is thought to have been the brains behind RD 900/2015 and other measures that have decimated Spain’s renewable energy sector. What remains to be seen is whether the PP’s energy policy becomes a bargaining chip in Rajoy’s path toward the premiership. Nadal is understood to be more of a technocrat rather than a political heavyweight. That means the PP’s leadership might be happy to sacrifice RD 900/2015 for the sake of a trouble-free alliance. But after support for the party was reinforced last month, it is less likely opposition leaders will have the stomach to fight the PP on existing legislation. “We still have a parliamentary majority in favor of self-consumption, but now we know for certain the government will be against it," said Daniel Perez of the law firm Holtrop, which is mounting a legal defense on behalf of Spain’s solar players. “The question is whether or not the opposition will require the royal decree to be revised as one of the conditions for granting parliamentary support. I wouldn’t want to guess on the answer until we see what kind of government we have," said Perez.